Learn how to address the next decade’s most critical job skills through purposeful learning. The passion for learning is a unique quality of human beings which differentiates them from other creatures and constructs a platform for humankind's progress through the acquisition of knowledge. Learning in all its dimensions like teaching, reading and listening to the unknown facts to unveil ignorance has its virtue and therefore it’s an immensely valuable and precious process to share knowledge. If we make a time travel to the past it’s possible to find knowledge creation and learning at the heart of all times and people of all ages never failed to identify its unique ability to interpret the world. The world is now witnessing a giant leap in the technology sector with the assistance of computer-aided services that encompasses various fields ranging from essential works to advanced research programmes. In this changing scenario adherence to the principles of knowledge and learning are vital for our survival and for ensuring our sustenance in the future. Looking back to the Great Roman Empire which vested its control over more than half of the population in European and Asian continents, it's perceivable that their ability to consume knowledge helped them in gaining power as they could come across different information in the world. And the collapse of the Roman empire was academic in fact dramatic, leaving the world as a whole into darkness characterized by demographic, cultural and economic deterioration. As time changed, in the Renaissance (rebirth) period, people began to rediscover knowledge and learning which was hidden thereby fuelling the growth of society. The word ‘disruptive’ has a deeper impact on the technological sector. We can trace disruptive or innovative technology as one of the reasons behind the success of the Renaissance. The invention of printing press by Johannes Gutenberg in Europe in the 15th century appears as a milestone in the history since it opened the doors of vast knowledge which was once limited and made the transmission of information much easier as well as faster than before. Leapfrogging from copying two pages in an hour by the monks during the middle-aged, the printing press made it possible to print 25 pages within a specific time. Coming to the 1990s, one could see the emergence of information and communication technology and its effects on diverse sectors. Today we send billions of emails per day, about three billion users ensure their presence on social media platforms and about 65 per cent of the world population has access to mobile phone services and seventy new articles appear on Wikipedia on each day. There is a huge difference between information and knowledge. Knowledge is something we have to extract from the information we receive such as facts and figures or historical data. It will always take time to process and create knowledge, and we can find innovations as a catalyst for this change. For example, it was the printing press which brought a transformation in the society breaking its chain from the dark ages and created opportunities for the development of schools, a rise of the middle class and so on. In the present time, the ability to process information is critical, and there is a strict requirement for skills like critical thinking, problem-solving, and communication. As technology has made its mark on the emerging economy, one of the challenges we are going to face in the future is the lack of office staff rather than manufacturers. The estimates point out that over the next few years almost 4.8 million office staff will be lost to automation. Artificial Intelligence can be found as a major cause for this change, but at the same time, it is efficient and effective in our growth with its disruptive technological elements when AI can even create works of art. But automation can be a fruitful tool only when the user is good as it is. Here comes the importance of skills such as cognitive flexibility, negotiation, people management, and critical thinking. During this phase, the evaluation of education appears to be critical and proves that each person with unique capabilities has to be provided with adequate knowledge and skills development leading system which is essentially needed in the workplace which is expected to be shared with AI colleagues in the future. It’s a need of the hour to halt traditional educational method which gives priority to earning money and to search for the novel ways of acquiring knowledge to experience the innate joy of learning. The idea of learning English curriculum has to be based on the thought of developing skills for creating a successful working environment rather than for money. 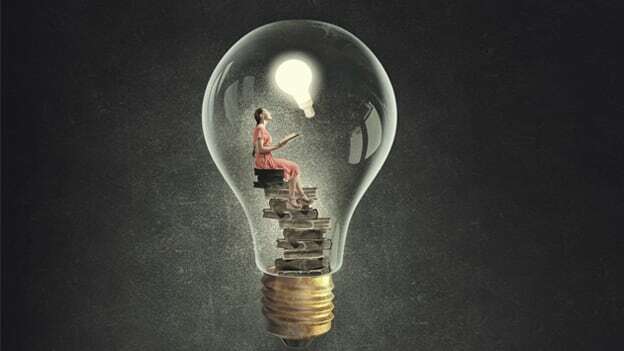 To connect with purposeful learning the leaner has to be invested in the personal goal or should be controlled by knowledge, should break down learning contents into smaller steps and should keep on going with this intrinsic motivation that makes one successful. Thus in modern time or the new Renaissance, we can achieve success if we pursue true knowledge or learning.